The UK Ministry of Defence (MoD)’s selection of the ARTEC Boxer 8x8 armoured vehicle for the UK’s Mechanised Infantry Vehicle programme will see the restoration of a capability that has long been missing from the British Army’s fleet: a “go anywhere, do anything,” fast and versatile armoured vehicle. ARTEC is a joint venture between Rheinmetall (64%) and Krauss-Maffei Wegmann (36%), which are contracted to deliver and support more than 600 Boxer vehicles to the German, Dutch and Lithuanian armed forces. Land warfare experts say speed of delivery would have been a key factor in the MoD’s decision as to which platform to select from a very crowded market. Other contenders for the MIV programme included Patria’s vehicle, dubbed the Advanced Modular Vehicle Extra Performance (AMV XP), General Dynamics’ PIRANHA V, and potentially ST Kinetics’ Terrex 2. Procurement of the Boxer will be conducted through the Organisation for Joint Armament Cooperation (OCCAR), the pan-European body, which manages this particular solution. There were initial concerns that if the Boxer was chosen under a single-source contract, without competition, through OCCAR, that it would lead to higher unit costs, which could result in fewer vehicles being purchased. The UK recently announced that it plans to rejoin the Boxer programme under OCCAR – which it earlier left after voicing concerns about the vehicle’s weight – to procure the 8x8 vehicle, which is used by the German, Dutch and Lithuanian armed forces, and was recently selected following a rigorous three-year competitive evaluation programme for Australia’s Land 400 Phase 2 programme. Australia’s choice of the Boxer is said to have played a vital role in the MoD’s controversial decision not to hold a competition to procure an 8x8 for the British Army’s new Strike Brigades announced in the 2015 Strategic Defence and Security Review. Each brigade will be composed of 5,000 personnel. Additionally, they are intended to be able to deploy autonomously and will consist of two Ajax tracked vehicle battalions (one in reconnaissance and the other in the “medium-armour” role); two MIV battalions alongside supporting medical, logistics, combat engineer and artillery elements. Nicholas Drummond, a defence industry management consultant previously employed by McKinsey, who served for seven years in the Welsh Guards, and who advised Patria on its bid for the UK MIV programme, said in view of the Australian Department of Defence’s selection of the Boxer 8x8, the UK MoD will get a firm competitive price for Boxer based on Land 400. "Australia has effectively run our competition for us,” he said. Brigadier Ben Barry (retd), now Senior Fellow for Land Warfare at the International Institute for Strategic Studies says the Boxer has “pedigree, meeting the requirement of 8x8 vehicles and is able to go fast whilst having lots of space.” He adds that the weight of the Boxer may increase costs, but it has the advantage of granting it the highest protection of any vehicle on offer. And crucially, Boxer is interoperable with the UK’s allies. The UK National Audit Office has raised concerns about the “affordability” of the £24.4 billion of new commitments to the MoD’s Equipment Plan, which the MIV is part of. A Commons Defence Select Committee called for more details on how the Mechanised Infantry Vehicle will be funded and the impact it will have on other projects. “We are … confident that the MoD will find that a Boxer procurement via OCCAR and ARTEC provides excellent value for money and timely delivery to support the rapid establishment of the UK Strike Brigades,” stated Ben Hudson, global head of Rheinmetall’s Vehicle Systems Division. Speaking to Defence Procurement International earlier this year, Drummond claimed the Boxer was sub-optimal for the UK MIV programme, given the general complexity of the vehicle, which he says makes it more demanding to operate and maintain, as well as the large number of non-commercial off-the-shelf parts, which, according to Drummond, made it dependent on a German original equipment manufacturer supply chain. 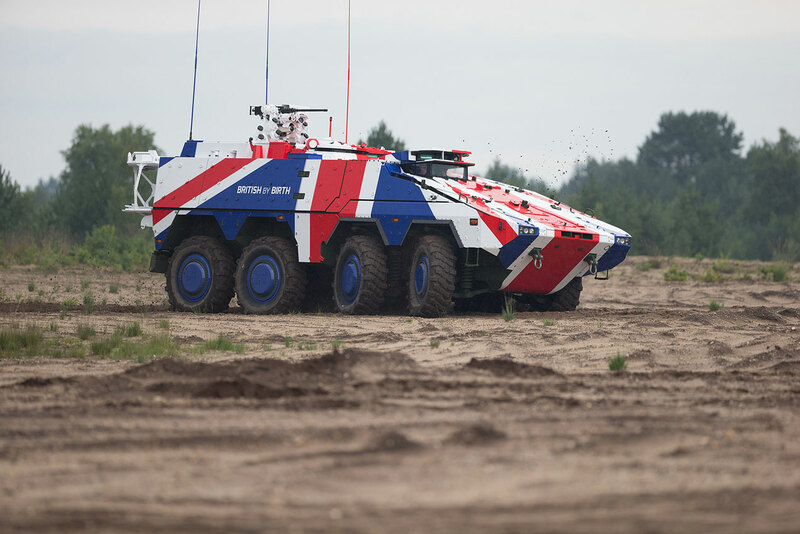 However, ARTEC and Rheinmetall are already in discussions with UK partners to deliver the MIV programme including BAE Systems, Thales UK, Raytheon, Rolls-Royce and Pearson Engineering. Rheinmetall says jobs are expected to be maintained across the UK to manufacture, sustain and upgrade the UK Boxer fleet through life.